Jah Prayzah set to launch new album this Friday. The countdown to Jah Prayzah’s album launch is officially on . The award winning musician will be releasing his latest album titled Chitubu this Friday. 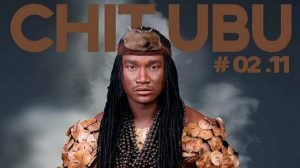 The release of Chitubu is more of a response to an outcry from Jah Prayzah’s local fans who were crying foul requesting for the old Jah Prayzah saying they miss his traditional music. “It’s this outcry that inspired the songs on Chitubu,”Jah Prayzah’s manager, Keen Mushapaidze said. The contemporary musician of late had drifted far from what his local fans fell in love with when he first came into the music scene. His focus was now more on collaborations with international artistes which did not have the mbira. Therefore, through Chitubu he is trying to stay on top of his game by making sure he does not loose relevance within his local fan base.